I’m one of those people who tend to over-think, and over-complicate things. I’m notorious for playing out an entire scenario – one that doesn’t even exist mind you – and come to some bad-news, awful conclusion in the end that requires “all this work and all this time that I can’t possibly squeeze out of my day” in order to make something good come out of it. b) the made-up scenario doesn’t exist. So stop worrying about it. There is a bonus though, to me over-complicating things: There’s a really good chance my “lesson learned” will to turn into a blog post for you! That’s my hope for today, and we’re tackling the incredibly (not) difficult topic of freezer cooking. It’s a publicly known fact that freezer cooking is an incredible way to save time in the kitchen. In fact, I talked about cooking for the freezer in this video as one of the key ways to be more efficient with your kitchen tasks. However, if you’ve never cooked for the freezer before, or have no idea what cooking for the freezer even means, then you’re probably a bit clueless about how to approach the whole thing and you just might be over-complicating the process in your head. I’m here to console you, that it’s okay to be intimidated with freezer cooking and to not know where to begin. But I’m also here to show you how to plan for a freezer cooking session, so you can finally take this awesome time-saving tip and put it to good use in your own kitchen! Freezer Cooking (v): also known as “cooking for the freezer,” it’s the idea of spending time cooking meals, or parts of meals, that can be frozen and pulled out later, thus requiring minimal prep time before eating the meal. Now freezer cooking can be very time-consuming. I know some people dedicate entire days to cooking for the freezer. Me on the other hand, I’m more of a one-hour type of gal. Between homeschool, laundry, cooking food for TODAY (and NOT) for the freezer, this blog, these meal plans and everything else that the typical day holds, I can really only afford to dedicate about an hour to cooking for the freezer. Plus I have an itty bitty freezer. What – you say you’re busy too? Awesome. This plan is meant for you! 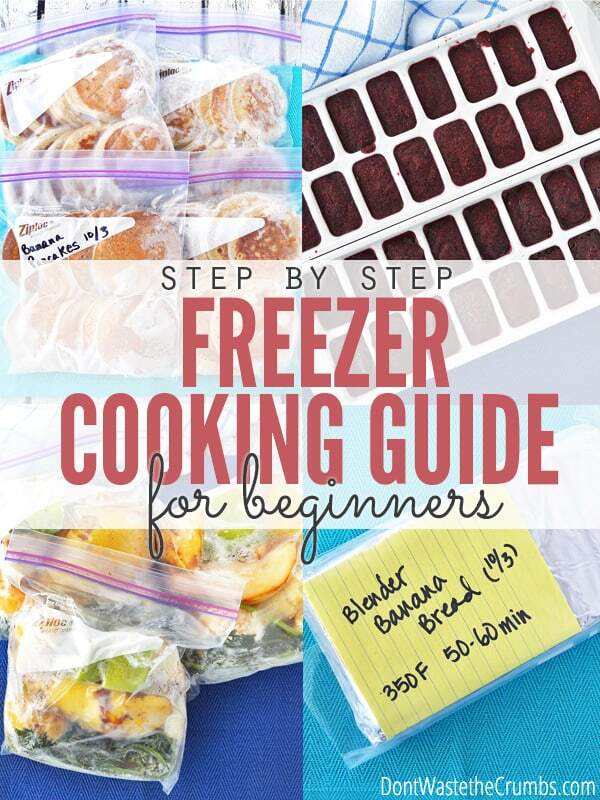 Whether you have an hour, four hours or just 20 minutes, the concept of this freezer cooking guide can work for anyone, anywhere, in any size kitchen for any size freezer. Now, I think we’ve covered the major excuses, yes? Ok, let’s get to work then! 1. Decide what type of food will benefit you most. What I Did: Breakfast always seems tricky for me because the kids are hungry when they wake up, but I don’t like to spend my mornings hovering over a hot stove or griddle. Having something that’s practically ready to go, like pancakes or muffins, means the kids can both serve and eat without any help from me, which makes the morning run just a little smoother. 2. Choose meals and/or ingredients that are similar. You want to make the most of the time you’re prepping or cooking, so you want to choose foods with similar ingredients and even a similar cooking method, if at all possible. This makes better use of your time, and creates a theme, so to speak, of your session. And themes just make it all flow a bit better. What I Did: We had a bunch of bananas that were about to go bad, so I chose my breakfast meals around them. I also took stock supporting ingredients (like flours for pancakes or other fruits for smoothies) and made sure I had enough on-hand for what I was wanting to make BEFORE I started making anything. Finally, we had a big batch of berries that were going soft, so I wanted to do something with those too. 3. Consider the tools you’ll need and base your cooking around them. Before you commit to any particular meal, think of what you’ll need. You can’t efficiently make 4 dozen muffins if you only have one pan. You also can’t cook a whole chicken in the slow cooker if it’s already in use for yogurt. What I Did: I’m limited on muffin liners, so I skipped those altogether and opted for two loaves of banana bread since I have plenty of loaf pans. I also chose banana pancakes and smoothie packets (which don’t require any tools) for fast smoothies later on. I also decided to blend up all the berries and freeze in an ice cube tray so that they could be added to the smoothie packets when they were frozen. 4. Use kitchen appliances and tools to help you. One hour seems like a long time to be cooking, but when you’re looking at making 3+ meals in that time frame, you should enlist the help of any gadget you have. Bake bread in a slow cooker, bake smaller items in toaster ovens, boil in microwaves, use the cooking space of a griddle and the whipping power of a blender… don’t let these third (or fourth) arms go to waste!! What I Did: Since I was focusing on bananas, and making two different types of batters, I used my Blendtec to make both. I also used my griddle (because it fits more pancakes per batch). 5. Choose 3-4 recipes and print, hand-write them out or have them ready on your screen. It’s really not feasible to complete more than 3-4 recipes in an hour, unless you’re supermom, so don’t bite off more than you can chew. You can’t add more time to the clock, and it’s always better to feel accomplished at the end than defeated because you didn’t make it to that one last recipe. As for being prepared, the last thing you need is sticky fingers trying to search for a recipe on the keyboard. Either print them out, have them already pulled up on the screen, or in certain cases, hand-write them on a piece of paper. What I Did: My pancake recipe is from one of my favorite cookbooks, so I had it open. I converted my own banana muffin recipe for banana bread and wrote down on a sticky note what I wanted to put into each smoothie packet. 6. Wear an apron and set out clean towels. Um… so you don’t get dirty. That’s a good thing. 7. Pull out everything you need. Food, tools, bags, sharpie, containers, utensils… pull it all out so you can survey what you have and make the most of your hour. You only have so many minutes – don’t waste them digging around in your spice cabinet! 8. Don’t clean as you go. Instead, fill your sink with hot soapy water and only wash what you MUST as you go along. I say that loosely too, since you might not really have to wash anything (see my experience below). Leave all the dishes for when you’re done, because whether or not you had a freezer cooking session, you’ll still have to do the dishes at some point in time anyway. What I Did: Since I was working with bananas and was making similar items (quick bread and pancakes) that used similar ingredients, I didn’t wash the blender between batches. Why bother washing out flour and banana if I’m going to put more flour and banana in anyway?! 9. Create a “finished” station. This is so you can seal, label and freeze appropriate when you’re done. Set items in this section as you complete them, but label everything at the end when you’re done cooking. This station is just so cooked items are out of your way, and you don’t accidentally do something else with them… like eat them or try to cook them again. 10. Create a logical method for your work. 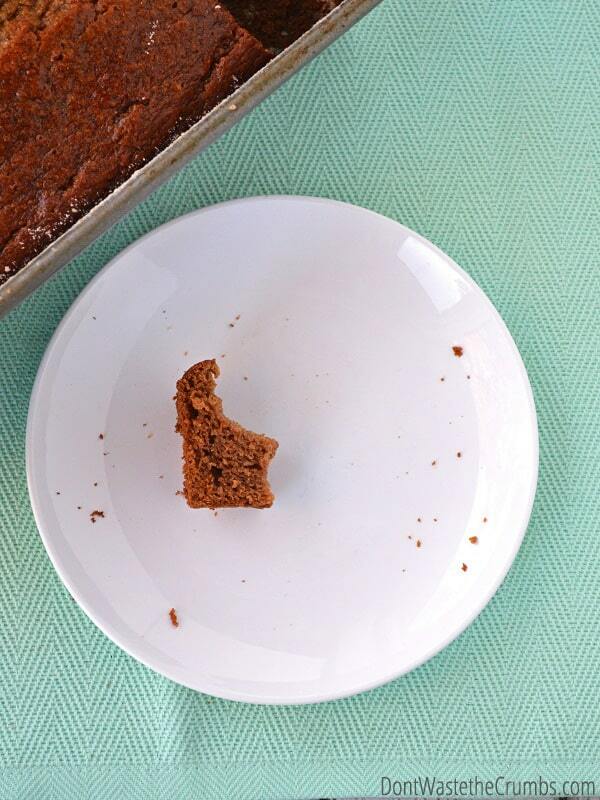 Think about what takes the longest to bake, and do that first. What needs the oven higher? What needs more burners? What needs to sit and cool? All of these things are important as you’re on a timer. Come up with a logical approach BEFORE you start. 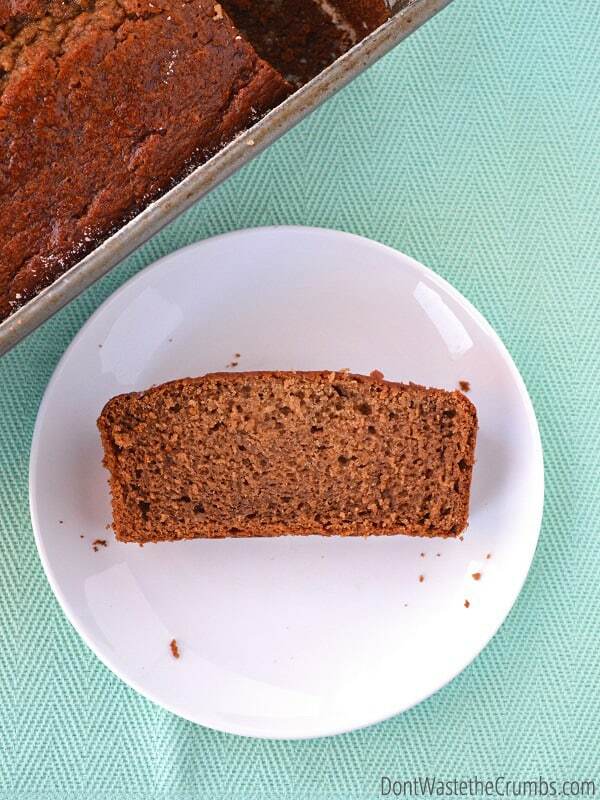 What I Did: My banana bread takes about 45-50 minutes to bake, which means that had to get done first. I made a batch of batter in the blender, poured into a loaf pan and set the time. I made another batch of the same batter and froze it for a future breakfast using a method similar to this one for freezing unbaked muffin batter. Then I made a double batch of pancake batter in the blender. While they were on the griddle cooking, I used another blender jar for the soft berries, poured them into the ice cube trays, chopped various fruit and veggies and portioned it all out for “just add yogurt” smoothies later. And we started eating it right away! 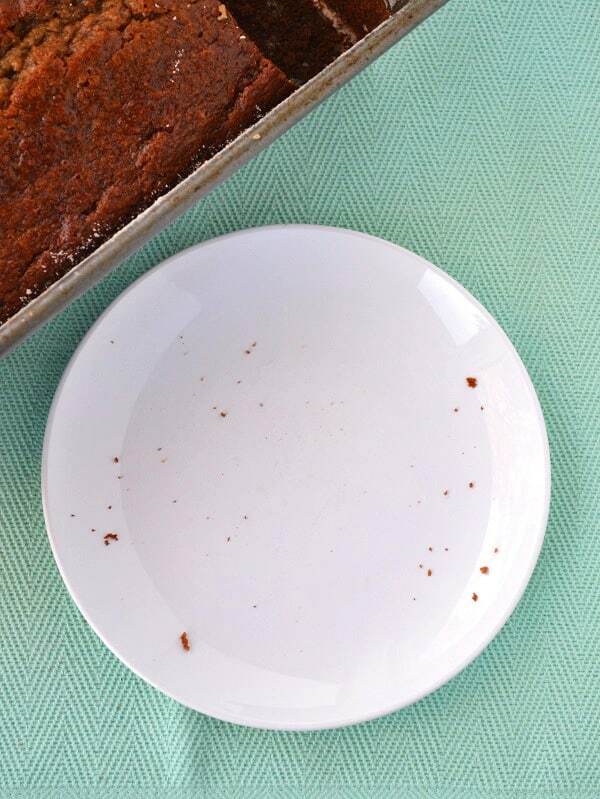 As if the sliced piece above didn’t give it away. Do you need some help coming up with ideas on what meal to freeze? The Freezer Family has what you need! CLICK HERE to find out more about the Ultimate Freezer Cooking Bundle Sale! I would make a plain cheesecake, tomato sauce, and pesto sauce and then freeze them. These are exactly what I would do. We have a small freezer so we tend to freeze ingredients rather than whole meals. I would love to whip up homemade baby food (#3 is on the way! ), a drool-worthy new blender salsa recipe I just found, and creamy soups like tomato, cream of mushroom, etc. What a time saver and a money saver those would be for us! I will use the Blendtec for a variety of items. But for the freezer, cream soups, fruits, cauliflower “cream” sauce, homemade ketchup, homemade date and prune puree for fat-free baking and much more. I already subscribe to your newsletter. I would use the blender for baked goods mostly. 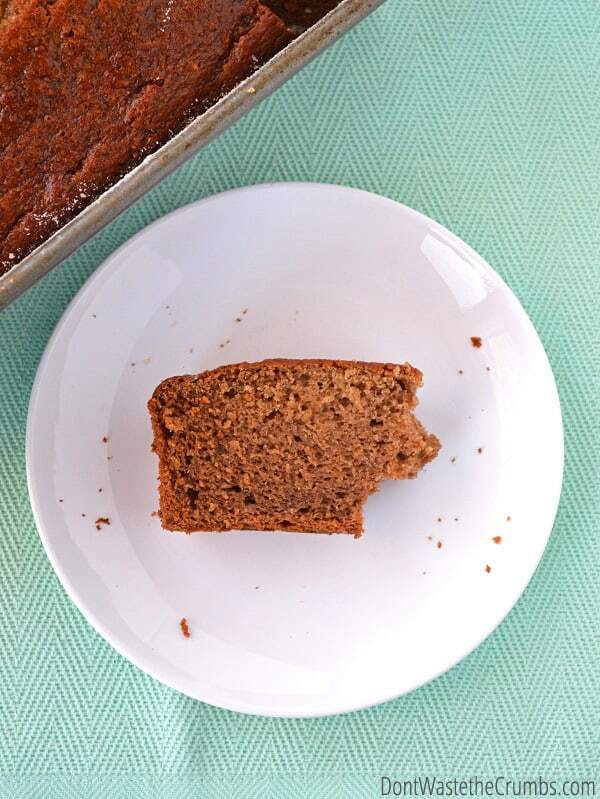 I also have my go-to banana bread recipe 🙂 Smoothies are best made with a blender, especially when adding frozen fruit, ground flaxseed or chia seeds as it helps to mix them in better. Other uses: pureeing veggies for sauce and making milkshakes! Thanks for the giveaway! I love the unbaked muffin freezing trick. I’d probably mix up a few different kinds of muffins — blueberry sounds good right now. I would use the blender for mixing up muffins, smoothies, and making super-creamy soups! I would love a Blendtec to blend enchilada sauce, bananas and smoothies. I would use the Blendtec for smoothies, to make one of my favorite restaurant type salsas. It would also be great for making my pancake and muffin batters. I would be thrilled to win a Blendtec! I would love to win this! I love smoothies but sadly, my blender died so now I have to wait until I can afford a new one. I would make smoothies, of course, soups, fruit and veggie purees (to sneak in those extra veggies), and homemade popsicles! Yum. I would definitely be doing (red) pasta sauce, smoothie prep, spinach ice cubes, and I’d love to try the pancake idea! Freezer cooking is such a wonderful, time-saving tool. The Blendtec would be a great help in speeding up the freezer cooking process. I would have to choose the Healthy Oatmeal Muffins, Apple Spice Muffins, and the Strawberry Freezer Jam to make during my freezer cooking session. I already like on Facebook and subscribe to the newsletter. I have been trying to decide between Blendtec and Vitamix so this would be incredible to win a Blendtec. I can’t wait to try out smoothies, tomato basil soup, blender muffins/ bread, and hummus with the Blendtec! I would make hummus, pesto and fruit mixtures for chia pudding or popscicles. Blentec is a wonderful company. I have one of their grain mills. I would make buttermilk pancakes, smoothie pops, and tomato basil soup. I would love to have a Blendtec! I would use it for tomato florentine soup, yummy “ice cream” (with frozen berries and Greek yogurt), smoothies, and I’ve been wanting to try pesto with our homegrown basil. I already use a blender every morning for smoothies, so I’d probably do something similar from your list and do some of the prep work ahead of time. In the colder months I make soup, some of which are blended or partially blended, so that would come in handy. We LOVE pancakes and not-too-sweet sweet bread, so freezing pancakes and muffins or breads is another thing I’d steal from ya. Not sure how the Blendtec handles raw meat, but I often grind meat myself and freeze it for later. We make lots of homemade stuff, too – salsa, dressing, cashew “cheese,” hummus, etc. I would love to make banana bread! Also smoothies and protein shakes. Love those! I’m all for just tossing in whatever I have on hand. I’m new to cooking (Seriously, the only thing I could “cook” six months ago was boxed macaroni and cheese! SO bad, and SO bad for us! ), so a spiffy new BlendTec would be an INCREDIBLE help! Breakfasts are difficult for us, too, so whipping up smoothies or muffin batter would make mornings much easier. Also, as cold as it is, blending creamy soups would certainly hit the spot! And since I am a super picky eater, blending up veggies and incorporating the healthy mixture into soups, sauces, or even meatballs would be a splendid way to trick myself into liking vegetables! Haha! I would love to make silky smooth hummus to have on hand in the freezer, puree tomatoes to have for sauces and soups, and pre-blend my greens for smoothies! I would make Smoothies, soup, Paleo Pumpkin cheesecake, and gluten Free Brazilian bites. Yum! I would love a high speed blender! I would make breads, smoothies, and soups. So excited about your Blendtec giveaway! I would make homemade tomatoe sauce, butternut squash soup. And also green smoothies and puree vegetables to add to my recipes, so my kids won’t know I put any in my lasagna. Smoothies, soups, pesto and pancake batter. Thanks for the chance to win! Sauces, soups, smoothies…and of course, nut butters with the Twister jar. I would blend up some wheat berries for bread, put together some smoothie mixes, and I love the idea of making pancake batter. I would make baby food, pesto and homemade soups! I typically freeze cooked ground beef, taco meat, and bacon (since we get the 3 lb zaycon packages. A blendtec would be great for having spaghetti and enchilada sauce ready to freeze with the meat. I also love being able to pull breakfast out of the freezer so we do muffins, pancakes, and bread a lot. I like the smoothie packs idea, but I am not sure how much to put in since I always just kind of eyeball it in the blender . . . I would make smoothies, banana bread, blueberry muffins and tomato sauce to freeze for later. We would make paleo tomato soup, fruit leather, and plantain burger buns! I would use Blentec to do my soups: a tomato soup, and a sweet potato, carrot and ginger soup, as well as a spaghetti sauce, and probably a quick batter for crêpes. I would definitely make pancake and waffles, muffins, or tomato soup! As far as freezer cooking, I’d probably use the blender mostly for things like soups. It’d probably get used as a peanut grinder more than anything–we looooove freshly ground peanut butter! I would make hollandaise sauce, tomato sauce, yummy frozen fruit smoothies (hope that counts 😉 ) and cream soups!!! I was toying with the idea of putting one of these on our wedding registry! Maybe I won’t need to! Let’s see, I would make soup and marinara sauce to put in the freezer. I would make gelatin gummies with it and I’d also blend my onions for my meatloaf. Oh, so much stuff! Tiffany, this is such an awesome giveaway. Best of luck to everyone, and thank you so much for hosting it! If I won a Blendtec blender, I would definitely make tomato sauce, banana ice cream, and pureed soups (like butternut squash soup)! First I’d grind a bunch of oats for my favorite whole wheat banana pancakes. After that dry ingredient, I’d use it for applesauce (leaving the skin on) and the delicious pear-apple butter from this site (which I’d have to start long before my big cooking session, of course!). I’d also puree various fruits and vegetables, which I’d freeze in ice cube trays to add to future recipes. Yum! I would use more recipes like the banana bread, muffins, and other freezable items. I would make smoothies, pancakes, a cottage berry whip, & soup! I would use for sauces, soups, & baked goods. awesome! I had a blender explosion over the weekend and am in the market, but winning one would be better!! I’d definitely be making some smoothies! Then freeze some for smoothie pops! I would make homemade fruit purée for adding to plain yogurt and doubling that for making treats such as Popsicles. I love the idea of the batter for a baked good now and a baked good for the freezer. I think making simple soups all in the blender would also be ideal for the freezer. I would try my roasted cauliflower soup, some oatmeal pancake batter to have pre-made pancakes for the freezer, I love your idea of fruit cubes for smoothies, and I’d love to branch out and make more homemade nut butters with different nuts and flavorings. Yum! I’d love to make smoothie packets, blender pancakes, and grind wheat berries for fresh flour. Cooking in Blendtec is endless and preservable when coupled with freezer storage. A Blendtec would help me prepare higher quality smoothies (could be frozen and overnight thawed for early mornings), tasty vegetarian soups for days and fresh doughs to for a quick loaf. I’d love to win! We’d start with applesauce, pancakes, smoothies, and creamy soups! I would make smoothies, salsa, banana bread. So many possibilities! I would make spinach ice cubes, carrot soup, muffins, and freezer jams! I have tried freezer meals about a year ago and didn’t care for them. It wasn’t until I found your site that I thought of doing them differently. I love making things in advance so I would totally use the Blendtec for salsa, muffins, homemade spaghetti sauce, my coconut butter, and so on! Thanks for the great post and the give away, too! I feel accomplished for some reason. I love making, smoothies, soups and sauces, but have a very old blender so haven’t done a lot of experimenting past that lately. I would definitely look into the bread/muffin mixes and desserts. I already cook to freezer all the time. Our freezer stays stuffed while the fridge is almost bare in comparison. It makes it easier to grab, cook, eat, clean, go during the week when things are so busy. I don’t know exactly what I would use the Blendtec for, as the only thing I’ve ever used a blender for is smoothies. It would be fun to learn new things! I would totally make a head smoothies, spices, and bread/muffin mixes!! First off: happy new year! I’ve missed my coffee and newsletters morning! 🙂 This is a wonderful post! I already try to stock the freezer when i can, but like you i tend to overthink/overcomplicate things. This lays it out perfectly and i am going to add it to my Sunday prep. Our “blender” (i use that term lightly since it is severely lacking) is kicking the bucket. If i had a new blendtec i would make more smoothie packs for the freezer. I make a bean dip, hummus, or yogurt dip every week to accompany our snacks or add to veggie wraps and a blendtec would be a LIFESAVER! Also, I LOVE creamy soups but my “blender” now doesn’t have a large enough attachment to accommodate a batch of soup. Heck, i can’t make more than one smoothie at a time. What a time waster! Crossing my fingers on this one. And toes. And eyes…. 🙂 Be happy!! I would use the Blendtec for mixing up smoothies, various types of soups, pancakes and muffins. Probably lots more too! I would use it for sauces, smoothies, and turning dry oatmeal into oat flour. Thanks for the give away! I’d love to move up from my immersion blender! I would make soups, kale cubes, basil cubes, spinach cubes, fruit purees. Smoothies, nut butter, nut milks, bread….Oh my the ideas are endless! I would definitely make the banana bread recipe, smoothies with the greens leftover from the week (because I hear the Blentec actually chews them up into tiny pieces!) and a delicious broccoli soup! I would like to make soups, tomato sauce and muffins for easy freezer meals and staples. I would try smoothies, banana bread, waffles and soups. I would love help with making school lunches for my 6 kids. Especially Hommus (every child loves it…woo hoo) and all types of Smoothies (I also treat myself with one of them daily) and all kinds of batter for pancakes and waffles. Oh to be more organised! I’d make applesauce, muffin batter, and smoothie packs! I would make smoothies, spaghetti sauce, apple sauce, tomato soup, purée veggies and fruits that were going bad so I didn’t waste them and then freeze to add to other stuff later for extra flavor/ nutrients. I would make many many smoothies, tomato and pesto sauces and banana bread! I would LOVE a Blendtec to help me with the staples of our weekly diet. Marinara sauce, delicious soups and smoothies. My cheapo blender doesn’t seem to cut it after a few months. I would make smoothies, and then soups like carrot soup and tomato soup. Also marinara sauce, and crepe batter so I can make lots of crepes at once. I would make smoothies, soups, applesauce, and I’d totally experiment with things I’ve never done. I would use this awesome blender to make gluten free mini Brazilian cheese muffins (amazing! ), homemade salsa, and homemade pizza sauce! Yum! Thank you for the opportunity!! Pesto and hummus are the first two that come to mind. After that, probably banana chocolate chip muffins and creamy soups. I would make pesto sauce, banana walnut bread, smoothies and paleo pancakes…..yummy! So many possibilities! I would use this for homemade salsa, sprouted chickpea bread, cream of mushroom soup and ice cream! I would love to have a Blendtec to make salsa, pumpkin puree, and coconut butter. My current blender is too weak to make the latter two items, and my family loves pumpkin in everything! Definitely soups, smoothies (and smoothi pops) and pesto. Maybe some other sauces too and I might have to try that blender banana bread. I’ve never used a blender to make bread before. Who knew! I would make my classic fluffy pancakes, sour cream banana bread, and prep ingredients for on the go smoothies. I like to make cooking soups for the freezer, to replace the purchased canned soup. Like cream of mushroom, cream of celery, etc. Let’s see, banana bread, pancakes (lots of types), and, since my dog has mouth issues… I have to blend his specialty dog food every 2 weeks. I would make tomato basil soup, THM Fat Stripping Frappas, and pumpkin bread! I would use the blendtec to whip up pancakes, smoothies, and enchilada sauce! I would make creamed soups, salsas, vanilla bean ice cream, pesto …for starters. Thank you for the chance to win. I would use it to grind the flour to make freezer pancakes. I would make freezer spaghetti sauce. It’s so helpful to have it made ahead. I would use it to blend enchilada sauce for freezer enchiladas. Thank you again. I enjoyed this post, because when I think of freezer meals I think of freezer burn- but freezing certain foods or only parts of recipes really helps! I would make pesto and red sauce, homemade hot pockets, and all sorts of breads! I would use it to make smoothies – I make a bunch at a time and freeze them in jars…perfectly thawed by lunch time! I would also use it to whip up pancake and waffle batter! My girls and I love homemade smoothies (and our blender is on its last leg…yikes!) I would also whip up some baby food, soups of course and try out bread too – what a good idea! Recipe #1 “Thia & Girls” smoothies: a couple of organic frozen strawberries, handful of blueberries(from the U-pick-em stockpile in the freezer), 1/4 frozen banana, (add any other frozen fruit on hand), kale or other leafy green (I actually buy extra when on sale and freeze it just for use in smoothies…it works great!) 1Tbsp chia seeds, some flax seed meal, 1Tbsp peanut butter, 1Tbsp yogurt, Milk or Almond milk. Blend ’em up and enjoy!! Recipe #2, Baby food: Blend up, mix and match any fruits or veggies on hand with water or milk, pour into ice cube trays for easy 1 oz servings. Once frozen store in labeled freezer bags. I would use the Blendtec for Smoothies (like Apple Pie Smoothies from this site! ), making pesto, hummus, whole grain buckwheat waffles, salad dressing, and soup (tomato, black bean, creamy corn chowder and on and on). I would love a Blendtec! I’d use it to make soups, smoothies and spaghetti sauce! I’d make smoothies, pesto and marinara sauce! I would make smoothies, soups and banana bread. Thanks for the chance to win. I would make tomato pasta sauce (Different varieties), vegetable soup, fruit smoothies, and mixes for muffins. My daughter is starting solid foods so I would blend all the yummy veggies and fruits for her! I would also make my favorite butternut squash soup, smoothies and coconut butter (I know its technically not a freezer meal, but I can’t stand paying so much for it). I would actually blend my smoothies in advance so I don’t wake anyone up with early morning blending, then freeze them portioned and defrost the night before for breakfast! ooh, I would love to use the blender to make applesauce, smoothies so I could freeze them and the kids could just get them out whenever they want something healthy to eat. Also I would make the batter for my pancakes and zucchini bread in it. Honestly it had never occurred to me to use a blender for mixing batter, lol. We make waffles and muffins weekly so it would be nice to have some frozen. I’m just too lazy to mix it up repeatedly. I would use it to puree some cooked lentils to extend my ground beef. We also love refried beans so I’d use it to blend my pinto beans for freezing too. Smoothies, something with lentils and refried beans! I would make various sauces, smoothies, and soups. My favorite is carrot and cardamom! I would love to make soups, broccoli, potato… And I love pancakes as does my toddler. In the summer I also have tomatoes for sauce and butternut squash and pumpkin out and and and…. Would love to give my daughter a Blendtec for her birthday! A Blendtec would be so helpful in making smoothies at home that my picky teenagers would drink! I would also make marinara sauce, smoothe soups and coconut milk ice cream! I really want to make my own almond butter and almond milk, but I can’t with my Ninja blender! 🙁 Breakfast nut porridges for the Whole 30 diet would also be easier with a Bendtec! Thanks for the opportunity! I love freezer cooking! I’d use a Blendtec for broccoli soup, smoothie pouches, pear and parsnip sauce, and sauces (like home mayo or ketchup)! Oh the things I would do! I would make smoothies, make bread crumbs with leftover scale bread, and blender muffins and bread! Can you grate cheese? Oh that would be fab! I would make up some veggie soup and tomato bisque. My indulgence would be some homemade ice cream. Yum! I love making blender batters for muffins, pancakes, and cornbread. Most of my recipes freeze well. I would use it to make tomato gravy, butternut squash soup and try out some new smoothie recipes. Hmmm…we’d make smoothies, tomato soup, and a yummy banana bread. I have a newborn so I would definitely use the blendtec for baby food and to make breakfast easier with frozen pancakes and smoothie packs. I would definitely make all kinds of pesto, spicy hummus, tomato sauce, and enchilada sauce with green chilies. I would make sauces, grind wheat berries, and make soups. I don’t currently own a blender. I would love to try the banana bread and pancake recipes. Definitely soup, tomato in particular. GENIUS idea to blend up berries and freeze in ice cube trays – My girls would love adding the cubes to their water bottles for a splash of flavor! I would use the blendtec for smoothies, soups, lara bars, making my own egg replacer, cooked beans for the freezer, and so many other things. I would definitely make the usual suspects: smoothies, soups, and muffins. I would also use it to grind my own organic wheat berries, and make my own herb salts, and herb blends. Plus my own salad dressings, and mayo! I would make pancakes, muffins, soaked whole wheat bread, and tortillas. Could definitely use this to make my daughter’s baby food and fruit purees that go in my son’s lunches, as well as his smoothie pops. Might even jump on the smoothie bandwagon myself if I had something to make it easily! I would make lots of batters for pancakes, muffins, breads, waffles, cakes…..I would make tons of smoothies and soups too! I would use it for smoothies to help me in my continued weight loss journey. Down 70 pounds so far. Soup and breakfast too. I would make smoothies, pesto and pancakes for the freezer! I would love to make smoothie ingredients to freeze as well as soups! I don’t have many recipes that I like to freeze whole. I tend to freeze individual purees, instead, so they’re mostly prepped when I go to cook. I would use it to puree beans (I use these in tacos, soups, and desserts), greens (for soups, smoothies, and rice dishes), and veggies (for soups, smoothies, and casseroles). I’m big on freezer cooking and lucky to have the freezer space to accommodate it. With the blendtec I would make several things, but off the top of my head are: Vegetarian Lasagna, Mexican Lasagna, Muffins, and Squash Soup. I would smoothie it up as my son is under weight and we make very dense smoothies for him as a supplement but now that I see you can make pancakes, breads, and more I’ll be trying those for sure!! I get your news letter and follow you on Facebook. I don’t do twitter or Pinterest. Thanks for the giveaway! I’d use the Blendtec to make my Spaghetti Sauce, Hummus, and Pesto. Gosh! So many possibilities and since we don’t have a nice blender I don’t use it too often. I would HAVE to try your banana bread recipe, I make lots of soups and sauces so I’d probably do those and, of course, smoothies. We’re having our third baby soon so I might try doing some homemade purees for baby food when the time came! I currently have a Kitchen Aid Mixer but it isn’t as powerful as I would like it. I would love to make with the BlendTec … better Chocolate Peanut Butter Smoothie (de-fatted) – http://www.blendtec.com/recipes/chocolate-peanut-butter-smoothie, smoothies, Creamy Pumpkin Soup – http://www.blendtec.com/recipes/creamy-pumpkin-soup, Black Bean Veggie Burger – http://www.blendtec.com/recipes/black-bean-veggie-burger, saurkraut – http://www.blendtec.com/recipes/sauerkraut, Lime Cilantro Marinade – http://www.blendtec.com/recipes/lime-cilantro-marinade, and I also like the idea of using it to make batter – I plan to make Paleo baked goods. Thanks, Tiffany and Blendtec for this amazing giveaway! If I had a blendtec I would use it to make pancakes, vegan green goddess dressing and blend up greens to make ice cubes for future use in smoothies or soups or whatever needs a shot of greens! I’d make muffins, pancakes, and smoothie ingredients. I have a large freezer, so I’ve cooked for the freezer for years. 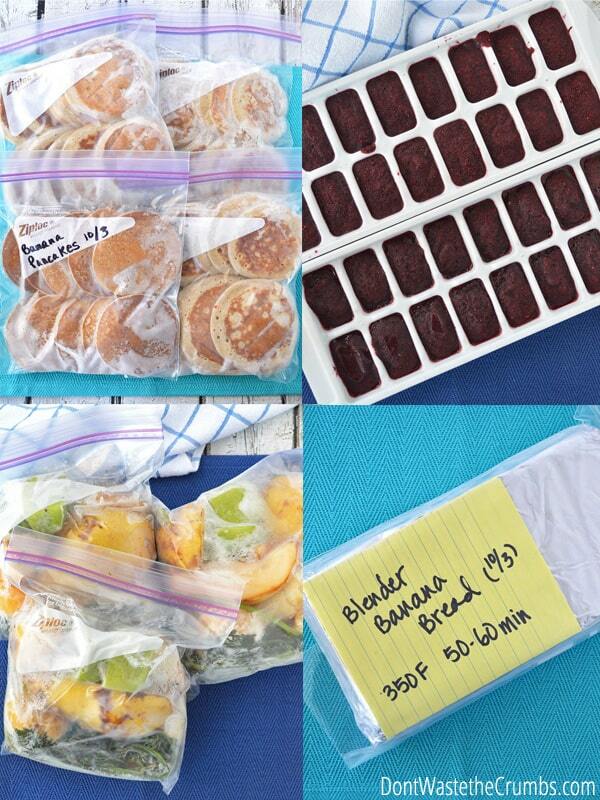 I freeze pancake batters, (banana, pumpkin, chocolate and basic pancakes). I freeze all kinds of breads ( banana, zucchini, pumpkin, Irish Soda Bread, and Honey Whole Wheat bread). A Blendtec blender would simplify all of this so much! I would be able to do your recipes & my own quickly & easily, also doing make ahead healthy smoothies and juices. I would make the obvious smoothies, but i would also make nut butters, soups, sauces, pureed veggies for soups and to freeze for baking as well as pesto. The list is endless! I would love a Blentec! I’m already a subscriber and love telling my younger friends about you. It’s how I cooked while being a stay at home mom many years ago. I’m getting back to that now that I’m getting ready to retire. I do lots of puréed soups and fruit or veggie smoothies. Thanks for getting me back to putting prepped foods in ” the bank ” …..as I call my freezer ! Would LOVE to have that blender ! Smoothies! Also baby food, sauces, and I have really want to try mayo! I would make spaghetti sauce, pizza sauce and smoothies. Awesome giveaway! I would definitely make some smoothies! Along with a batch of muffins and pancakes! I would make smoothies, banana bread, and several soups! What a great idea! I would use the Blendtec for homemade baby food, smoothies, nut butters, and anything else that will simplify cooking at home! I would use the Blendtec for vegetable purees, pancake/waffle batter (for bulk freezing), and my daily smoothie concoction. The recipes I would make in the blender are pancakes, muffins, nut butter, and smoothies. I would make pizza dough, soup, almond butter, and muffins!! I’d make pasta sauce & salsa for dinners. Plus the banana pancakes & bread you used (our family is bananas for bananas)! I would make pancakes, quick breads and homemade sauces, along with pureeing cooked squash for different recipes. 🙂 Thanks so much for hosting this fantastic giveaway! I would make pancakes, banana bread and cauliflower sauce. 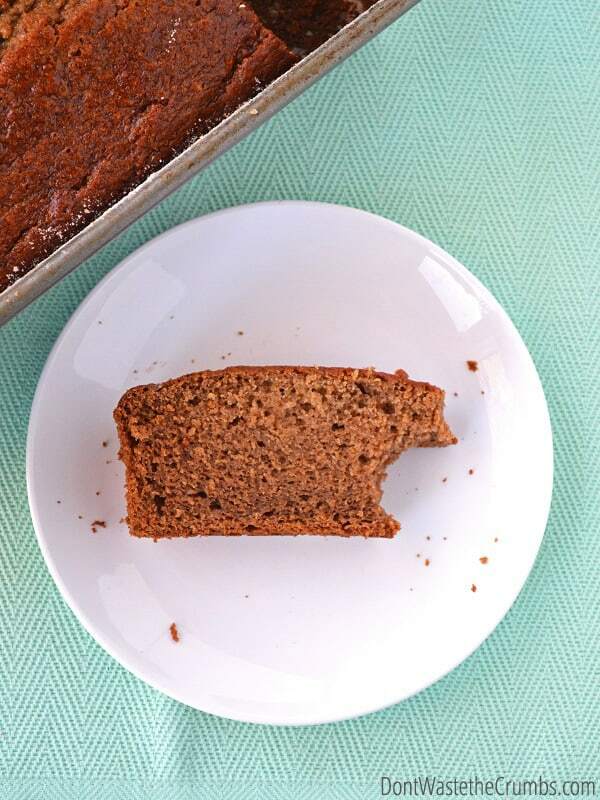 I want to try the freezer banana bread in your article. I will also make some creamy tomato soup and some fruit smoothies. Thanks for a chance to win a Blendtec blender. I’d make butternut squash soup, ice cream using avocado for my non-dairy friends : ), almond butter and probably a whole lot of other stuff! It’s been a long time since I cooked meals to freeze; it was so convenient to pull something out and reheat when I didn’t have to time to cook. I’d like to do it again making several types of soup (like split pea), zucchini pancakes, and banana nut bread. I would use it for my homemade sauces, to have some already done in the freezer would save so much time! Also we go through hummus like crazy at our house and I could freeze some ahead of time. 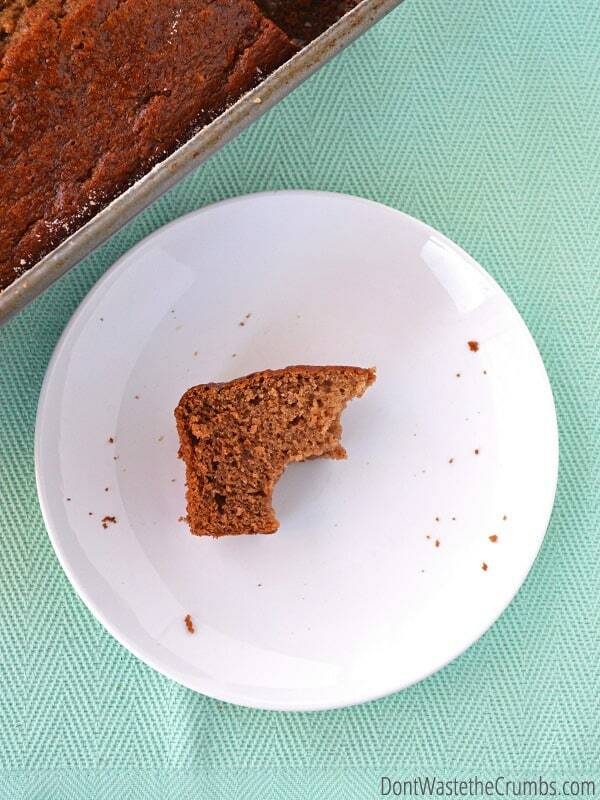 I also make a lot of quick breads that I could use it for and have them handy. Ok, I LOVE this… you’re so practical in the kitchen. I would definitively do the banana pancakes (1), the banana bread (2), ready to blend smoothy packages (3), and soups (4)! tomato soup, carrot cake muffins, enchilada sauce, smoothies, whole wheat pancakes and so much more… yummy! Oh man, I have been wanting one of these for *so* long! I would make the typical soups and smoothies for the freezer, but I also have recipes for guacamole, hummus, falafel, and a cashew “cheese,” among other things. I think I’d do some banana muffins, and pumpkin, maybe some sauces (pesto or marinara). Mostly I’d love to have a blendtec for smoothies and nut butters and things. Thanks for the giveaway! I would use the blender for my spinach and egg white pancakes, my cream base soups. I even finely ground my grated bar soap with other ingredients to make my home made laundry detergent. Also, nothing like a low cal blender drink for the afternoon hungry time. I’ve had a Blendtec on my wish list for ages! I would make Squooshies for snacks for my kids, squash soup, banana bread, and green powder for smoothies. I would use the Blendtec to whip up sauces (enchilada, salsa, pizza), pancakes, and smoothie popsicles. I would make muffins, tomato sauce, soup, and smoothies! I would make various pasta sauces (especially ones with vegetables), smoothie packets, soups, and various pancakes. Having a sauce (one of my favorites include one made from butternut squash) that you just need to defrost and throw over rice or pasta makes dinner a breeze. And with the main course pretty much done you have time to make a salad to go with it. I would use the Blendtec to prepare frozen smoothies, blend pancake ingredients, and to mix together condiment ingredients. Crossing my fingers that I can have one of these someday soon!! Would love to use the Blendtec for pesto, soups, muffins and smoothies! I would use the blendtec for smoothies, salsa, turning oats into flour for our favorite baked oatmeal recipe, and homemade baby food! I’m sure we’d think of lots of other things too! I already subscribe and would love to have a Blendtec to help make life easier. I would make pesto, smoothie ingredients, and veggie cubes to sneakily add to kids foods! Let’s see, I’d make smoothies, hummus, pureed soups, almond milk! What to make with a Blend Tech….nut butters, anything chocolate and smoothies!! I haven’t done a lot of freezer meal stuff and have never had a great blender so I’m kind of new to this–making muffin batter in a blender and then freezing it is an ingenious new discovery for me so I’ll definitely do that! I love fresh pesto in the summer so that would be blended in the blendtec and frozen. I would love to have a good blender for nut butters and hummus and almond milk, but not sure if those could be frozen…I think I’ll have to check into your site more for more ideas! 2) Soups. I have taken cooking classes on just soups, both cold and hot, and all freeze well. 3) Sauces. Spaghetti sauce, pestos, and other condiments that might freeze well. I would make almond butter, fruit sauce for yogurt, and some sort of muffin! I would make banana bread, oatmeal cookies, smoothies and pancake batter! I’m new to freezer cooking, but my favorite meals to blend up are smoothies, soups, sauces (pesto, especially), and dips (my favorite hummus dip and also my roasted red pepper and feta dip). Yum! I would make smoothies galore, soups and pasta sauces! The options are endless! I would make Fruit Smoothies, veggie juices, soups and sauces. I would blend up and freeze pesto ice cubes… smoothie popsicles … and fermented black bean sauce. I already subscribe to the Crumbs Newsletter. Gluten free oatmeal pancakes, pureed baked sweet potato for muffins, creamy tomato soup. I would use the Blendtec for hummus, soups, pancake batter, smoothie mixes, homemade bullion, and much more! I would make smoothies, soups and batters! I would make smoothies, soups and sauces. I make crepe batter, quiche filling, and marinara sauce in my blender. I don’t usually freeze the crepes, because we can finish off a quadruple batch in four days, so the fridge works just fine. But, I still count that as freezer cooking. I’d definitely make pancakes, smoothies, and now that I know, loaf and muffin mix. I would make my roasted tomato soup, smoothie popsicles, and cauliflower puree. What a great giveaway! I would love to use the Blendtec to make freezer jams and breads. Breakfast is a struggle for me as well so would love to try your pancakes and muffins recipes! Well. I had no idea you could make pancakes in a blender, so that is the first thing I will try. My husband loves banana bread, so I will use the Blendtec for that as well. I believe the third thing I will try are smoothies! Hiding veggies in with fruit, I love it! My favorite thing to blend is smoothies. A Blendtec would make that process a dream! But there’s so many other applications for using the Blendtec for prepping freezer food I hadn’t even considered. Pesto, sauces, bread, and especially the wheat heads I’d bought this fall to grind into flour. I’m sure the power of the Blendtec could make short work of all of these items. I already subscribe to the Crumbs Newsletter, and “Like” DWTC on Facebook. Not sure where I’m supposed to enter that info if not here in the comments. I’d like to make freezer pancakes and banana bread, but also applesauce and homemade yogurt “tubes” for snacks. I am using the Nutribullet to make myself healthy smoothies and would LOVE to graduate to a Blendtec! I could then be able to make pancake and waffle batter to freeze for breakfast (after making them first of course!) I also would try my hand at some warm and creamy soups for cold winter days. I love the Nutribullet, but am afraid to try anything to thick in it and the cup doesn’t hold very much! Thanks for all the wonderful, useful and helpful information you share! For the freezer: almond poppy seed muffins, berry ice cubes, my grandma’s pumpkin bread, various soups. I was drooling over a Blend Tec in a local store today…would love to win one! I would make salsa, pancakes, applesauce and soups with a blendtec. I would LOVE to have one. Plus smoothies, homemade peanut butter, and spaghetti sauce. 1.The banana bread and pancakes. No cleaning between recipes and breakfast ready sounds like a plan. 2. I’ll make pesto sauce and freeze it in ice cube form so that I can use when making pasta. 3. Blueberry/Rasberry/Strawberry purée and freeze in ice cube form. I use it to diffuse in water and keep it cold. Tastes great! I would use a Blendtec to make fresh hummus, salsa, smoothies and soups. Yumm!! I would use a Blendtec to make smoothies, blend up extra veggies for my spaghetti sauce, hummus dip, “mashed beans” for burritos, salsa, SO many possibilities! I would make lots of popsicles,smoothies,puddings,slush is and muffins for my grandchildren . They enjoy healthy snacks and a Blendtec would be helpful to do this. Thanks for the giveaway. Freezer Recipes I would use the Blandtec for would start with making different flours for breads, desserts and breakfast items. Also soups, sauces and smoothie prep. I can think of so many uses for the Blendtec. My favorites would be to make cream soup, batter for pancakes, smoothies, gravy, and more! For one thing, I like to roast and blend pumpkin and winter squashes (using a potato smasher right now), and put them into smoothies with your recipe for pumpkin pie spice, so I can get a pumpkin-spiced smoothie with real pumpkin. I’ve always wanted to make hummus and spaghetti sauce using a blender instead of buying store-bought, so I’d make those with a blender too! I would use the Blentec to make my fruit smoothies, green drinks, pudding and much more. INSTRUCTIONS: Blend, pour into serving dishes, cover with wrap, and refrigerate for a few hours. Using it for baking sounds like a great idea! I would love to try banana bread and muffin recipes. Also smoothie prep and butternut squash soup. I would blend cooked, seasoned beans for bean burritos, homemade cream of chicken soup for quick casserole throw-togethers, and puree super ripe bananas to have on hand for muffins. Oh man… I would make vegan banana oat pancake batter, roasted red pepper and tomato soup, and an almond crumb cookie (adapted from martha stewart). There are so many things you could do! I would use the Blendtec to make smoothies for the family, squash puree to freeze, and hummus! I would love a Blendtec for soups, smoothies and tomato sauce! I also love the idea of making batters and hummus in the blender! I would make fresh fruit & veggie juice daily, homemade spaghetti sauce, butternut squash soup and no oil hummus/bean dips! I would make pesto, pancake batter, and soup! Not sure about three to four recipes, because I’ve never had a blender like that. I guess some kind of muffin or spaggetti sauce or tomato soup? Yum! I’d make soups (lots of soups! ), hummus, and sauces. And, avocado pudding… love that! 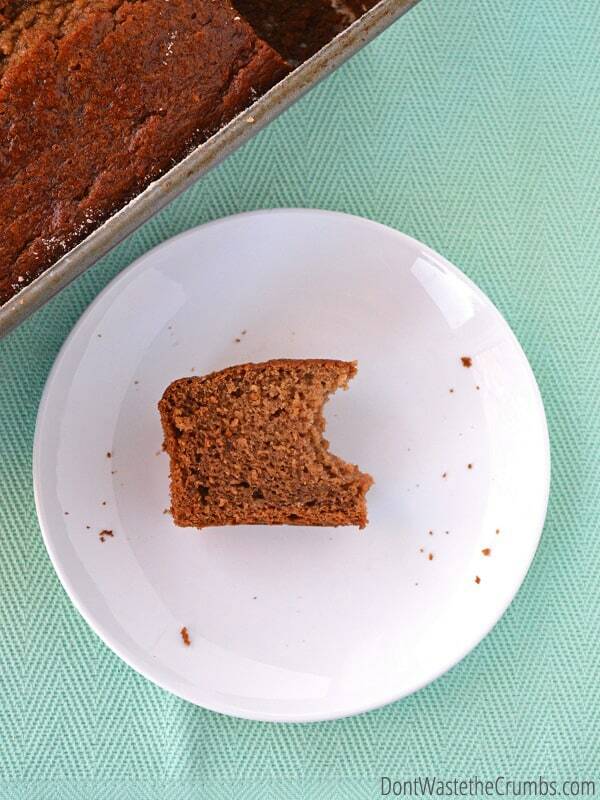 I would make our favorite blender zucchinni bread, baby food, and creamy soups! Also, not for the freezer, but I would love to use the twister jar to make coconut and nut butters, because my current blender really frustrates me each time I try!! I would love to make homemade sauces, soups, smoothies, flours, “ice creams” and more. I don’t know specific recipes right now, but I’d definitely us it for smoothies, and probably nut butters…banana pancakes sound pretty yummy now, too! I would make hummus, salsa and refried beans. I would make hummus, smoothies, soups and tomato sauce! This would do so many other things too! It was hard to pick just a few! I would use the blendtec for smoothies, canning and sauces and marinades. My old Vitamix is getting the worst for its wear. I bought it well used 25 years ago and we love that power! Wow! This is a great giveaway–it would speed things up for hummus, smoothies, pesto–the possibilities of what I could make with this are endless! I would blend up tomatoes and freeze for sauce making, make up some applesauce, blend & freeze butternut squash, and I would make some flour to keep in the freezer for when I’m in a hurry. I would make smoothies, hummus and soups. creamy tomato soup, muffins (really in a blender?) I have a lot of learning to do!! I would make pesto, tomato sauce, and salsa. Yum!! I would use it to make some allergy free foods for my family. Smoothies, blender bread (made with nuts), and blondies (made from beans) are some recipes that come to mind! I would love a Blendtec, especially for my toddler’s smoothies. I would also use it to make and freeze big batches of hummus, chocolate banana muffins, and pizza/pasta sauces. I would definitely make coffee smoothies, banana pancakes, and salsa! I would make smoothies, homemade nutella (which is fabulous! ), tomato sauce and pesto sauce and peanut butter and berry sauce and cream of mushroom soup and ice cream and…. I would make banana bread, smoothies, and muffins! The Blendtec, AKA “Sneak the veggies in machine” (sshh, don’t tell my kids) I will freeze/prepare : Pasta/Enchilada & my SMOKIN’ chili sauces. 2.) Im going to start making the smoothie “ice cubes” so my girls can serve themselves! That’s just genius! 3.) Pancakes & Waffles!! Galore! Last, I have morning sickness, & frankly I need a housekeeper, but since that’s not happening.. I can prep smoothies, soups & Ice cream for myself in the evening. To get the essentials of my diet! Ps.) I have already signed up for the newsletter & I’m following on Pinterest too!!!!! I would use the blender for smoothies, baked goods (banana bread, pancakes, cakes YUM! ), and also pesto, nothing beats home-made pesto! Thanks for the giveaway! I automatically think of smoothies made ahead and frozen then when you want one, you simply whip it out and thaw a bit. Butter. If I can make it in the Food Processor, I bet I can make it in a blender like this one. Fresh butter. It freezes well. All sorts of sauces. I have a favorite tomato sauce and I can put the fresh heirloom garden tomatoes to use. And there is more. A lot more. I would make Fruit Leather, Blueberry Banana Smoothies, Roasted Carrot Soup, Creamy Potato Soup, and Spaghetti Sauce. I would use it for smoothies, pancakes and veggie purees to put in my meals. I’d use it for smoothies and batters and pureed and so much more. I would use it to blend fruits to freeze for smoothies; peppers, onions and cilantro for salsa, and I would like to try the pancake and muffin idea. i would make salsa, soups, smoothies and baby food in mine! Soups, especially butternut squash soup & my mom’s special vegetable soup (she used a meat grinder on the raw vegetables, but I don’t have one of those), sauerbraten (need Blender for the gravy) & pancakes. I would make smoothies, banana blueberry or strawberry breads to freeze for breakfasts, homemade peanut butter, soups and doughs to freeze. I would make a variety of smoothies, salsa & soups. Would love to try the batter recipes also. Thanks for the chance. Loved the tips in this post. I would make homemade coconut butter, more soups, and that blender banana bread. Yum! I would make soups, Nut butters, pancakes, and smoothies. Thanks! I would be making all kinds of smoothies, both fruity & green. Love soups, would also be making sauces of many kinds. Various nut/rice milks as well. Thank you for this opportunity. Love your blog! I’d make pesto, bean dips, and soups. Thank! I like to make soup, and with the abundance of zucchini in the garden make muffins, tomato- make tomato sauce, extra waffles, and if the blend tec grinds flour I would put it in the freezer, too. Preparing fruit for smoothies, making some blenderized soup to freeze, and how about spaghetti sauce (my husband doesn’t like chunks)! I am ALWAYS looking for new banana recipes. I would use it a lot for protein smoothie making as well… I’m working on my second blender (not one as fancy as this) now but don’t know how long it will last! I would make banana sorbet, guacamole, and bean dip. I would make pasta sauces, smoothies and banana muffin batter. Oh man, I would use it for everything! Smoothie bags, waffles & pancakes (I am forever making batches of waffles! ), breads & cakes (I love having slices of cake in the freezer for when a chocolate craving hits or company drops by)! Also pizza/spaghetti sauce, pesto, cheese sauce, etc & soups! I’m not sure what I’d make with it. Smoothies for sure and maybe I’d try pancakes or bread. What else do you use it for? I just got SO much inspiration from all of the previous posts. I was hoping for a Blendtec for Christmas but I guess I wasn’t good enough this year 😉 The first things I would want to make and freeze black bean brownies, breakfast muffins, so much soup, and fresh juice.